Should You Buy B/E Aerospace Inc (BEAV)? At Insider Monkey, we track over 700 of the most successful hedge funds in the world and analyze their top stock picks so as to gain insight into their collective buying habits. Despite redemptions totaling about $67 billion this year, hedge funds’ assets under management have risen to $3.24 trillion thanks to gains of 5.44% this year. While hedge funds continue to underperform the market, we have found that they excel at picking stocks on the long side of their portfolios, while generally not faring as well with their other investments, which drags down their overall returns. For example, their top-30 mid-cap stock picks delivered 18% returns during the 12-month period ended November 21, 2016, while the S&P 500 Index posted gains of less than half that (7.6%). This is why we share the top picks and trends among the group of hedge funds that we follow with readers, and why in this article, we’ll see how they’ve recently traded B/E Aerospace Inc (NASDAQ:BEAV) . B/E Aerospace Inc (NASDAQ:BEAV) shares didn’t see a lot of action during the third quarter. Overall, hedge fund sentiment was unchanged. The stock was in 33 hedge funds’ portfolios at the end of September. At the end of this article we will also compare BEAV to other stocks including Kinross Gold Corporation (USA) (NYSE:KGC), Murphy Oil Corporation (NYSE:MUR), and Avnet, Inc. (NYSE:AVT) to get a better sense of its popularity. How are hedge funds trading B/E Aerospace Inc (NASDAQ:BEAV)? At Q3’s end, a total of 33 of the hedge funds tracked by Insider Monkey held long positions in this stock, unchanged from the second quarter of 2016. 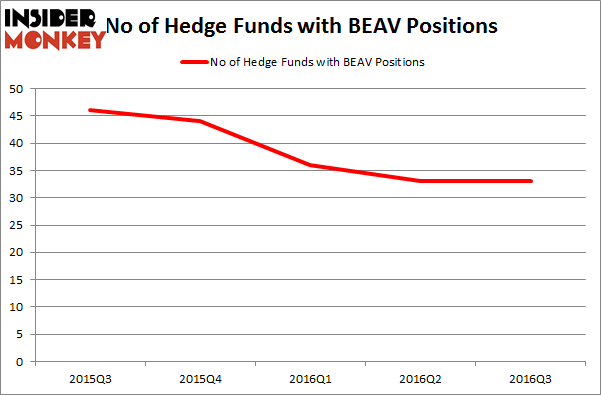 The graph below displays the number of hedge funds with bullish position in BEAV over the last 5 quarters. So, let’s check out which hedge funds were among the top holders of the stock and which hedge funds were making big moves. 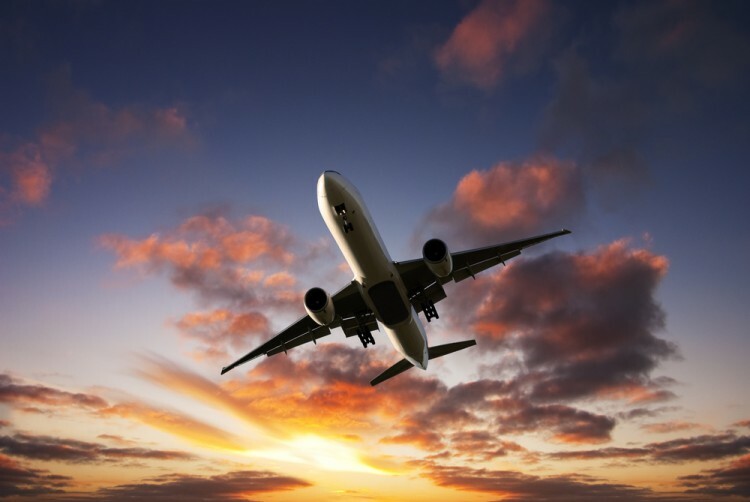 According to publicly available hedge fund and institutional investor holdings data compiled by Insider Monkey, Highfields Capital Management, led by Jonathon Jacobson, holds the largest position in B/E Aerospace Inc (NASDAQ:BEAV). Highfields Capital Management has a $245.8 million position in the stock, comprising 2.3% of its 13F portfolio. The second largest stake is held by Iridian Asset Management, led by David Cohen and Harold Levy, holding a $101.9 million position. Some other professional money managers that are bullish consist of Richard Barrera’s Roystone Capital Partners, Keith Meister’s Corvex Capital and Andrew Feldstein and Stephen Siderow’s Blue Mountain Capital. We should note that none of these hedge funds are among our list of the 100 best performing hedge funds which is based on the performance of their 13F long positions in non-microcap stocks. Is Liberty Sirius XM Group (LSXMK) A Good Stock To Buy? Is Northstar Realty Europe Corp (NRE) Going to Burn These Hedge Funds? Hedge Funds Don’t Think Very Highly of Annaly Capital Management, Inc... Is Nordic American Tanker Ltd (NAT) A Good Stock to Buy? Hedge Funds Are Still Buying Novanta Inc (USA) (NOVT) Should You Avoid Nationstar Mortgage Holdings Inc (NSM)?